MAAN, Jordan - When Ali ran away from home in the middle of the night two years ago to fight in the Syrian civil war, his father, Abdallah Salah, understood his son's decision. Although his 18-year-old son died only 45 days later, Salah accepted his son's fate. "Jordanians are Muslims, and they don't accept injustice," said the father of seven as he sat in a tent set up in his backyard. Another of his sons, Mohammad, is currently detained in a military prison under Jordan's antiterrorism law also for fighting in Syria. Salah is one of many Jordanian parents and family members now negotiating with the Jordanian government the release of relatives who've been jailed for joining the civil war in Syria. Many are residents of Maan, a city 220 kilometres south of the capital Amman with a reputation for unrest and defiance of the Jordanian government. Government sources put the number of Jordanians who joined ISIL in Syria at around 2,000. That is not a huge number for a country of 6.5 million people that borders Syria. 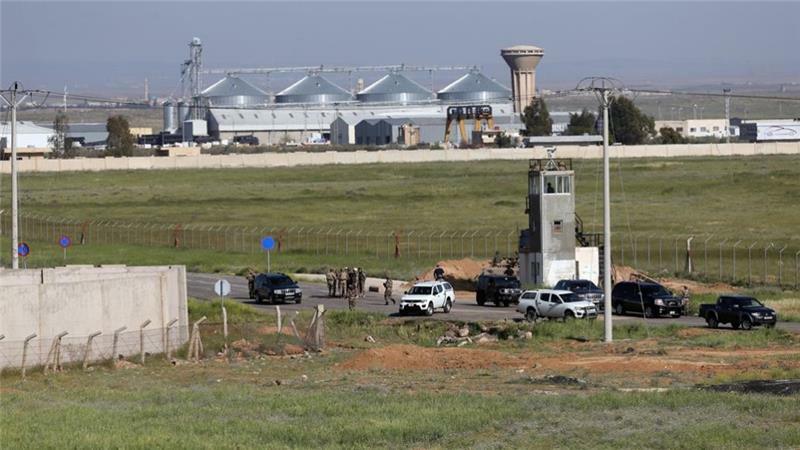 But experts say jihadist influence holds sway in certain parts of Jordan, especially Maan - a relatively isolated city with a population of 60,000. Maan has the highest unemployment rate in Jordan at 15.4 percent. It is also the poorest governorate in the country, with one in four people living below the poverty line. In April, a group calling itself the "Maan Martyrs Brigades" defied Jordanian authorities and raised the black flag of the Islamic State of Iraq and the Levant (ISIL) group in the city. ISIL has not officially endorsed the brigade, but many Maan residents sympathise with the group's aims. Graffiti of ISIL's slogan, "The Islamic State will stay", has been sprayed on walls across the city. A few months ago, ISIL released a video calling for young Maan residents to stage a revolt against the king's "apostate criminal regime". Ahmad al-Bazaya'a, the imam of Maan's al-Ansar Mosque, admits that the Jordanian government tightly controls mosques' operations. The government requests that mosques close between prayer times to avoid gatherings and dictates the themes discussed during the Friday sermon. But he rejects the media's negative portrayal of Maan. "We are a closely knit community. We all know each other," Bazaya'a said. "These guys that go to Syria are not a threat to Jordan. They were just tired of seeing famine, orphans, and injustice." Salah is not sure whether his sons joined the Free Syrian Army (FSA) or the al-Qaeda affiliate, the Nusra Front. However, he said that his son Ali loved engineering and sport, and that his detained oldest son had only driven an ambulance and does not know how to use weapons. Romain Caillet, a Paris-based expert on jihadist movements, said the Jordanian government has - for the longest time - turned a blind eye to its citizens crossing over to Syria because, in order to defeat ISIL, it wants to let fighters fill the ranks of Nusra in southern Syria. It was only recently that the government had taken harsher measures by amending its antiterror law. "Jordan has not reached a level of instability that can allow the Islamic State to establish a branch there," he said. "They are still feeling out the situation because it is all new to them." That said, Caillet noted that there have been several prominent Jordanian members of jihadi groups. The Jordanian Abu Musab al-Zarqawi led al-Qaeda in Iraq, which Caillet described as a precursor to ISIL. Zarqawi was killed by a US air strike in Iraq in 2006. After ISIL fighters had burned Jordanian pilot Moaz al-Kassasbeh to death early this year, Jordan launched a campaign to defeat the armed group, which has seized large parts of Syria and Iraq, using air strikes and an antiterrorism law to crack down on domestic ISIL sympathisers. But this policy has been criticised by Jordanians like Marwan Shehadeh, an Amman-based expert on Islamic groups. He argues that the Jordanian government has dealt increasingly harshly with its citizens who have fought in Syria's civil war, but without dealing with the root cause of the problem. "They need to understand what motivates people to want to kill and follow them ideologically," Shehadeh said. "If we look at the roots of the problems, there are a lot of inequalities and corruption. The government needs to promote democracy and find solutions for [disaffected] youth." Jordanian Minister of Political and Parliamentary Affairs Khaled al-Kalaldeh, who oversees the reintegration of fighters into society, disagrees with Shehadeh's analysis, pointing out that Jordan is trying to address the problem at its roots. "Jordan has been fighting terrorism since 2005," Kalaldeh said, referring to an attack in Amman that killed 57 people. "Fighting terror does not require only military action. Some are mistaken to think that the solution to resist terrorism lies only in the grip of security. Terrorism in Jordan is fought on the intellectual, educational, social, and economic levels." Yet, some say Jordan's antiterror law is loosely worded and is abused by the country's security forces. According to Amman-based lawyer Hussein Mubaydeen, broad interpretations of the law have led to the prosecution of people who may have merely said something that was deemed suspicious. "Many people are victims of this law," Mubaydeen said from his office. "The security of the country is not a light subject, so in many cases, people get punishments that are not equivalent to what they have done. Jordanian journalists, for example, have been targeted by his law. Back in Maan, the families of imprisoned fighters are trying to join forces to improve their city's tainted image. While many Jordanians view Maan residents as a hotbed of "terrorist sympathisers" and opponents of the monarchy, these families insist that the fighters are not a threat to Jordan and simply wanted to help the Syrian people. Hakim Abu-Odeh said that his brother Shaaban went to Syria and wants to come home, but is afraid of being sent to prison. "He is waiting for an authorisation from the government. In the meantime, we are sending him money to survive," said Abu-Odeh. "The government needs to do something about this. There has to be some kind of solution."